Turkish President refuses to withdraw troops from Cyprus in order to get maximum support on the constitutional referendum on introducing a full presidential system in Turkey. MOSCOW (Sputnik) — Turkish President Recep Tayyip Erdogan refuses to withdraw troops from Cyprus in order to get maximum support on the constitutional referendum on introducing a full presidential system in Turkey, Hisyar Ozsoy, the deputy co-chair of the Turkish left-wing Peoples' Democratic Party (HDP), responsible for foreign affairs, told Sputnik. On Monday, the Turkish parliament adopted the last article of a constitutional reform package, enlarging the powers of the president. The changes include allowing a partisan president, so that the president does not have to break off the ties with his or her political party, while the presidential powers include passing bills, appointing ministers and others. The second round of voting on the constitutional reform package is scheduled for January 18. "The questions of sovereignty, security and guarantees are the issues over which Turkish nationalist sentiments are powerful. Turkey is in a very complicated process of amending the constitution and establishing a presidential system. For this President Erdogan needs the support of Turkish ultra-nationalists, who are critical of the Turkish government's possible compromises over the Cyprus issue," Ozsoy said. On Friday, Erdogan said in remarks broadcast by Turkey's NTV station that Turkish soldiers were in Cyprus indefinitely and that there was no discussion on their withdrawal. Earlier in January, Turkish Deputy Prime Minister Nurettin Canikli said the referendum could take place in early April. Also on Friday, Turkish Foreign Minister Mevlut Cavusoglu said that Ankara was opposed to the idea of making the European Union a guarantor of Cyprus reunification as the bloc was unable to ensure security on the island and adherence to a reunification deal. "It is likely that the Turkish side will try to gain more time and not to take a clear position until the presidential referendum in Turkey is over. Otherwise, the government may lose the support it gets from ultra-nationalists for the presidential system referendum," Ozsoy added. 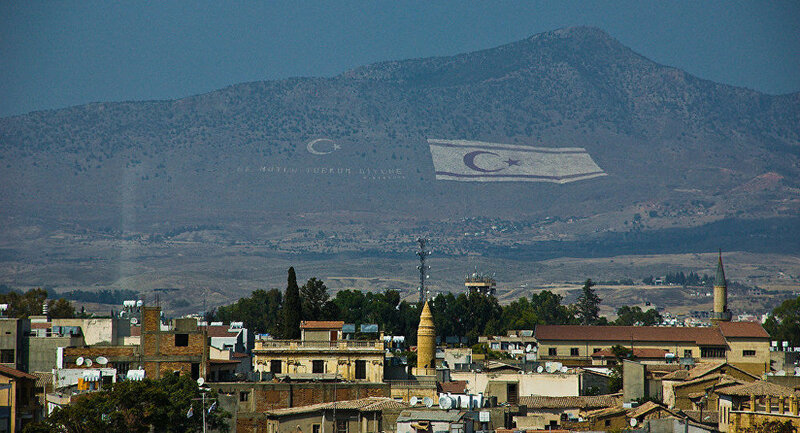 On January 9, the Cyprus reunification talks, with the participation of Turkish Cypriot leader Mustafa Akinci and President of Cyprus Nicos Anastasiades kicked off in Geneva. On January 12, the talks were joined by Cyprus’s guarantor countries — Greece, Turkey and the United Kingdom, as well as the European Union. The talks are set to resume on January 18, when the working group will make a list of particular issues and tools to be discussed. Under the 1960 treaty, Greece, Turkey and Britain are the guarantors of the independence and territorial integrity of Cyprus. The deal allows Britain to retain sovereignty over two military bases on the island, which are often used for Western military operations in the Middle East.